Leona Lewis, winner of X-factor, is using hypnotherapy to banish her stage nerves before going on a 14-months tour. Simon Cowell arranged the therapy with Paul McKenna. Many celebrities have successfully worked with hypnotherapists. Recently former Spice Girl, Mel B, used hypnosis to calm her nerves before doing her Las Vegas burlesque show and Eva Mendes overcame her fear of spiders through hypnotherapy so Leona is in very good company. I treated a lady opera singer for stage fright or stage nerves. Many of her contemporaries used beta blockers to calm their nerves but she wanted to take control naturally so I taught her self-hypnosis as well as boosting her self-confidence. Hypnosis can also help people with one of life's greatest fears: public speaking, along with all the associated problems like blushing, sweaty hands, excessive sweating, nervous twitches, nail biting, even stress incontinence. By working direct with the unconscious mind, hypnosis works to strengthen the ego and create a new reality as this part of the mind knows no difference between reality and imagined. Reprogramming works quickly and effectively. Anyone above the age of seven with an IQ over 70 can successfully be helped by hypnosis. 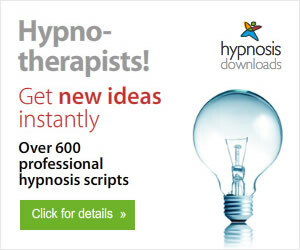 Antonia Harrison is the English Hypnotherapist in Belgium and recommends Download Hypnosis Mp3s for immediate access to positive life-changing hypnosis sessions. Do you find presentations, meetings or social events stressful and a test of your self confidence? Do nerves make you self conscious, stumble over words or perform below par? Hypnosis can help you in a naturally, relaxed way to overcome this problem permanently. Hypnosis works direct on the unconscious mind which accounts for 90-95% of brain activity. This part of the mind knows no difference between what is real and what is imagined. It is therefore possible to feed it new programming of how we want life to be, the sort of person we wish to be with the character traits or self-image that we require. The unconscious mind then turns this into reality. "What the mind can conceive, the mind can achieve". The basis of most reprogramming in hypnotherapy is ego-strengthening which boosts confidence. Clients who come for various reasons are amazed at how quickly they feel calmer and more confident, regardless of the main reason for seeking therapy. You will be familiar with Coué "Everyday in every way I'm getting better and better". It is similar. Post-hypnotic suggestions say that the person will feel this improvement every day, not just short-lived. Hypnosis works by developing the right side of the brain during an alert or heightened state of awareness of that part of your brain. It temporarily reduces the interference from the logical, calculating left side of the brain so that the creative right side of the brain can create a new reality. This new-found confidence can lead to job promotions, a new love and so many rewards, financial or otherwise. 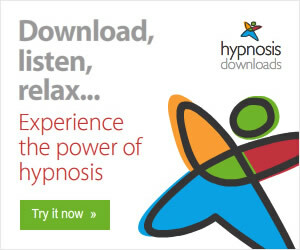 ©Antonia Harrison 2009, the English Hypnotherapist & NLP Practitioner in Belgium also recommends Download Hypnosis Mp3 for immediate, affordable hypnosis Mp3s to improve your life.